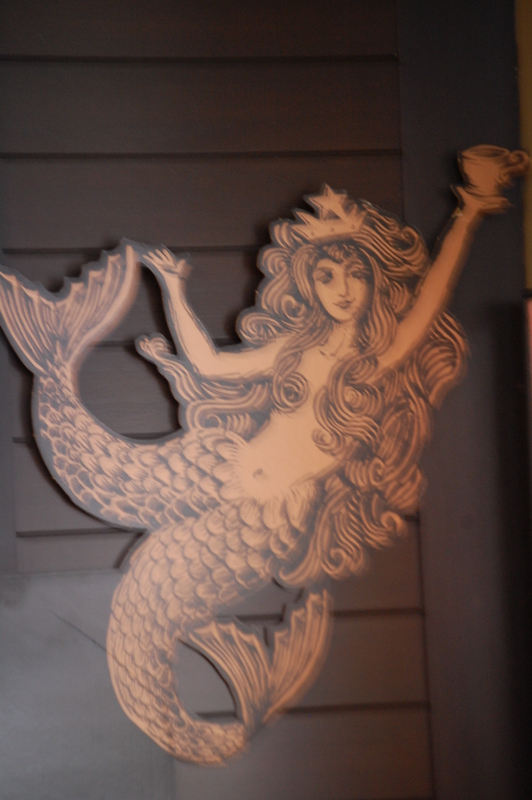 b ~ I have heard the mermaids singing, each to each. From Neil Gaiman’s NaNoWriMo peptalk. Now, most every day I hear and read about friends sitting in cafes: on the weekends, writing, reconnecting with friends or just taking a break from their everyday lives. I’ll admit, I often imagine myself seated in one, sipping a perfectly made confection at least once during my workday. The siren song calls to me and I know others hear it as well. I see it in the photos they post and the writing the put on blogs and in their Twitterfeeds. When I see the photos, I imagine what their lives are like and for a moment it seems blissful. And perhaps for a moment it is. That’s the thing, we all have these simple, perfect, pure moments in our lives. We just have to take the time to recognize them, quit getting caught up in the clutter that we create. It’s hard to see them buried beneath our worry and despair, the bills we bring home, the compost and recycling. We are no longer a society that just throws it all to the curb, we spend time sorting through what is leaving us. So now we must find space in our homes to save the recycling, a place for the compost to gather before it heads outside– all of this takes energy and time. It’s worth it for sure, but each of our lives have moments that call our attention, that shimmer in the hopes that we will notice. Not the birthdays or holidays or vacations, but the everyday slog- on through mundane bits of the week. The mornings when we descend the stairs while everyone is sleeping and you decide to have dessert for breakfast, seeing your child sleeping peacefully, stumbling on a passage in a book that you know was written just for you, the way someone looks at you as if you are a wonder, dew sparkling on the grass, steam rising around your cup when you put your hands around it to warm them, the way the light seeps into the room, or a candle flame standing tall in the premature dark of the evening. We all have them, the moments that belong to us alone. Sure it’s easy to read about someone else’s life and feel a pang of jealousy, but the parts they choose to display is what happens when you push all the rest to the side. Each of us live a version of I spy or Where’s Waldo in that what surrounds us both virtually and physically is cluttered and filled, but we manage to shine the spotlight on the parts we want others to see. And that’s okay too, because those are the bits we want to remember, the unexpected awe of an ordinary moment that causes us to see with both head and heart. Beautiful moments… like sitting here, reading this, the low sunlight streaming in the southern window, the dog snoring….